Hanoi (VNA) – Two Tibetan bears which were illegally kept in captivity in southern An Giang province were given to the Hon Me Rescue Centre of southern Kien Giang province on September 29. This puts an end to the illegal bear breeding in An Giang, as those two were the last in the province. The two bears, one male and one female, were held in cage since March 2006. However, the owner claimed they were not used for bear bile farming. The owner voluntarily handed over the animal to authorised agencies. 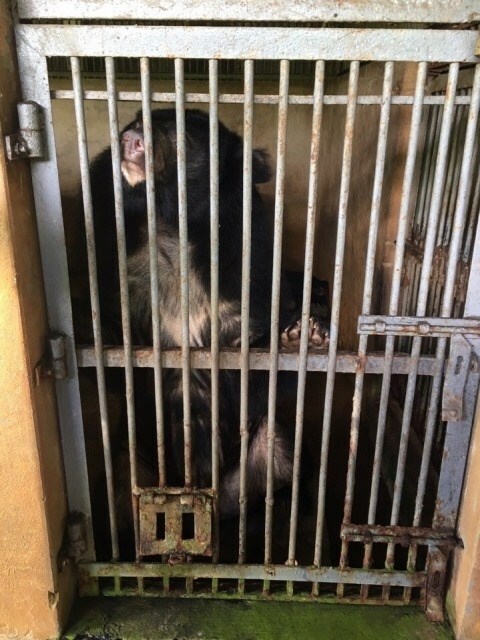 The Operations Director of Education for Nature Vietnam, Nguyen Thi Phuong Dung, said within one week, three illegally-bred bears were brought to rescue centres, including the one in Phuc Tho, Hanoi. This is a positive sign for bear protection in Vietnam, she said.